Lightly brush Brooklyn Bred Neapolitan Thin Pizza Crust with olive oil. Mix crème fraiche in small bowl with lemon zest, lemon juice and Siracha sauce. Carefully spread crème fraiche mixture onto oiled crust. 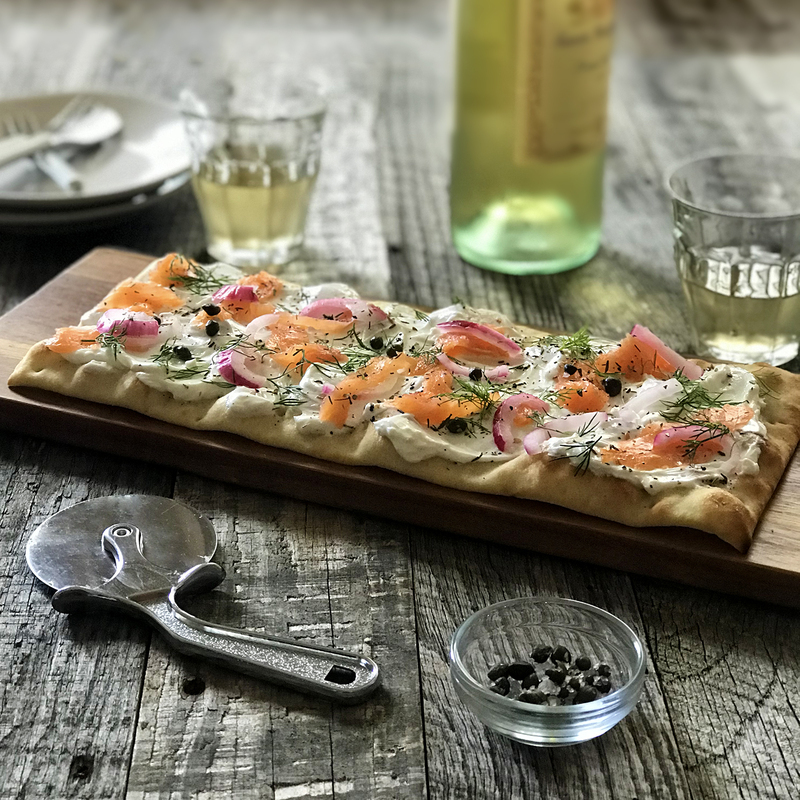 Arrange smoked salmon and garnish with fresh dill and sliced caper berries.